Beach BOOSTER Radio Podcasts - BEACH CORNER with Dianna Chycki - May 18.16 - Interviews from The Beach is BACK Event - Hard Rock Cafe Toronto. BEACH CORNER with Dianna Chycki - May 18.16 - Interviews from The Beach is BACK Event - Hard Rock Cafe Toronto. Description: Beach BOOSTER Media Group & Wasaga Beach Brewing Company was pleased to partner with Toronto's Downtown Hard Rock Café to organize and host a Beach Party at Canada's busiest intersection on Wednesday May 11. This party was to recognize and rekindle the love affair Torontonians have had with Wasaga Beach for over 100 years! We kept everyone happy with GREAT local entertainment from Wasaga Beach, and some very special guests! All enjoyed the Taste Testing of the new Beach One Cerveza from The Wasaga Beach Brewing Company & the "Beach Themed" menu on the patio. Music was provided by Beach BOOSTER Radio as we joined the Classic Hits Radio Network to broadcast our event LIVE on 5 popular radio stations! On this week’s BEACH CORNER show, Dianna interviews some or our Special Guests including Bobby Curtola, David Bacha, Rebecca Stephens, Wasaga Beach Mayor Brian Smith, David Cubitt and Joe Bickerstaff of Beach BOOSTER Media Group. BEACH CORNER from Beach BOOSTER Radio, available anytime, anywhere on any device from our NEW Beach BOOSTER Radio Podcast Page. Beach BOOSTER Media photo: Peter Whitaker from The Haze FM, Canadian Rock & Roll Legend Bobby Curtola and Dianna Chycki of Beach BOOSTER Radio at Toronto's Hard Rock Café. Beach BOOSTER Media Group & Wasaga Beach Brewing Company was pleased to partner with Toronto's Downtown Hard Rock Café to organize and host a Beach Party at Canada's busiest intersection on Wednesday May 11. This party was to recognize and rekindle the love affair Torontonians have had with Wasaga Beach for over 100 years! We kept everyone happy with GREAT local entertainment from Wasaga Beach, and some very special guests! All enjoyed the Taste Testing of the new Beach One Cerveza from The Wasaga Beach Brewing Company & the "Beach Themed" menu on the patio. Music was provided by Beach BOOSTER Radio as we joined the Classic Hits Radio Network to broadcast our event LIVE on 5 popular radio stations! On this week’s BEACH CORNER show, Dianna interviews some or our Special Guests including Bobby Curtola, David Bacha, Rebecca Stephens, Wasaga Beach Mayor Brian Smith, David Cubitt and Joe Bickerstaff of Beach BOOSTER Media Group. BEACH CORNER from Beach BOOSTER Radio, available anytime, anywhere on any device from our NEW Beach BOOSTER Radio Podcast Page. 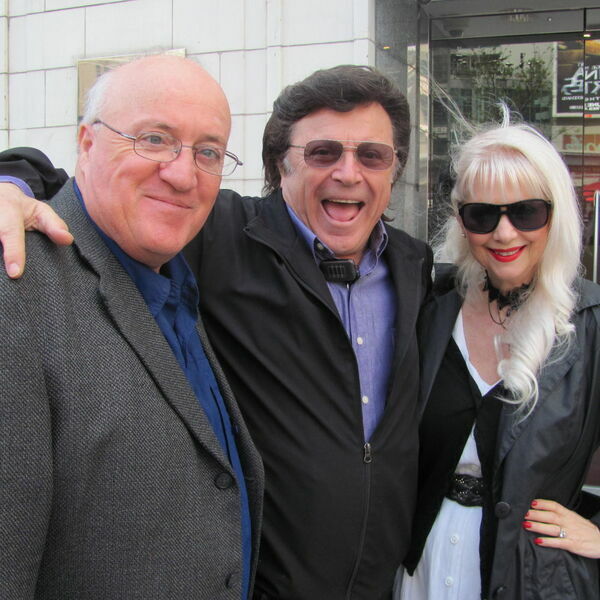 Beach BOOSTER Media photo: Peter Whitaker from The Haze FM, Canadian Rock & Roll Legend Bobby Curtola and Dianna Chycki of Beach BOOSTER Radio at Toronto's Hard Rock Café.